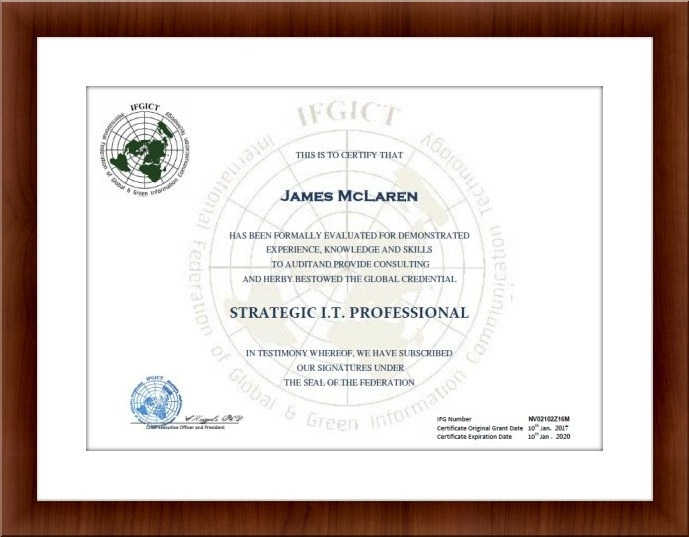 Strategic IT Professional (SITP) is an award granted to members of the IFGICT who have made “extraordinary accomplishments” in the ICT fields of interest. Strategic IT Professional is built to address only top ICT experts and professionals who demonstrated extraordinary achievements inside their career history, demonstrate underpinning knowledge and understanding over the manufacture of ICT, Strategic IT Professional “SITP” will probably be on the list of highest level in most IT certifications, No preparation materials, No online platform exam, test can be a live board review with ICT engineers and experts from world-wide ICT industry. Applicant will be asked to demonstrate that they have writing a case solving report synopsis. There is a required format for the report and synopsis and further guidance will be provided. 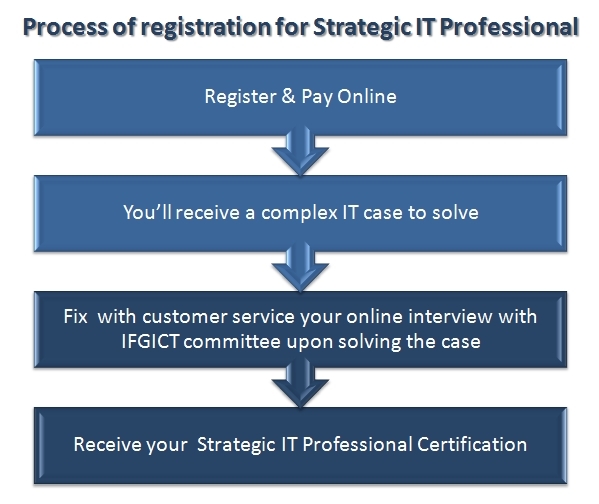 Applicants, who successfully complete solving case problem report, will be asked to attend online interview with Strategic IT Professional (SITP Committee) . The purpose of the interview is to allow the applicant to demonstrate in more depth the underpinning knowledge and understanding required to proceed to the professional review interview. There is the option of soliciting no more than three endorsements capable of supporting the nomination. 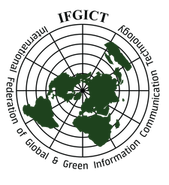 Any person, including non-IFGICT members, may submit an endorsement. Normally, the process of becoming Strategic IT Professional Certified should not take more than 3 months upon the delivery of the case method and the SITP committee interview.